Ah the gift of giving, we’ve heard that giving gifts to others can provide more pleasure than receiving gifts ourselves. That may well be true, after all we all enjoy seeing our loved ones faces light up on Christmas day when they open something that they truly adore. But how so we select the perfect gifts for our nearest and dearest? Walk around the shops or browse online and you are met with endless shopping opportunities and a whole host of potential gifts. Christmas shopping can be a stressful experience, but maybe we can help you? 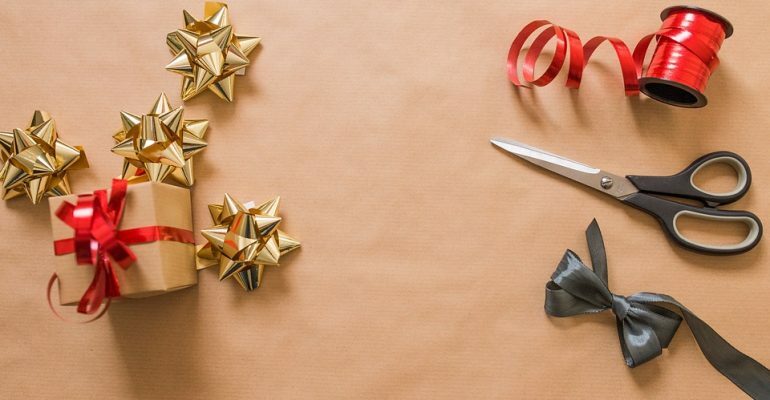 Here are our top tips on how to find the perfect gift. Take the time to really think about the person you’re buying for. We mean really think about them, what are they interested in? What do they like and dislike? What type of person are they? This might seem tricky to do at first (especially if you don’t know the person all that well e.g. you’re buying a secret Santa gift or for your daughter’s piano teacher), but never-the-less spend some time brainstorming, it will help! Still not sure? Well, you could always ask! You don’t have to be so direct as to accost people on your list and ask then outright what they want rom Santa. It would be better to employ a modicum of subtlety! Perhaps drop hints about what you might like and ask them if they’ve had any thoughts on what they might like to receive. You can ask children to write a list or a letter to Santa (in fact you probably won’t need to ask), they will already be on the case – or the letter has already been written and is winging its way to the North Pole right now. We all have special moments in our lives and the recipients on your gift list are no different. Is there a time in their lives that made them particularly happy? Turn detective and talk to them about their past – for some a retro gift or something that transports them back to their childhood will put a big smile on their face. For instance, there are themes and brands that have stood the test of time and appeal to generation after generation, such as Disney and Beatrix Potter. Peter Rabbit Christmas Gifts can provide joy to all age groups, there are soft toys for youngsters, and fanciful figurines for grown-ups, not to mention the well-loved books and other, less obvious items such as scarves, umbrellas and dinner sets for kids. This is a nice one for creative gift givers (especially if you have a little time on your hands)! Make up your own hamper of goodies for the recipient. We’re not just talking wine and chocolates here, we’re thinking of making it really personal by choosing a theme they will appreciate. We’ve already touched on how much Beatrix Potter is still loved by young and old alike, so how about a Peter Rabbit themed gift hamper? This could contain a fluffy Peter Rabbit soft toy, a book about cheeky Peter, a figurine that can be kept and passed on, and perhaps even a Peter Rabbit glasses case (presents can be practical too you know)! Buy a large wicker basket, cellophane wrap and a huge blue bow. Wrap it all up beautifully and there you have it, the perfect Peter Rabbit gift hamper (assembled by your own fair hands) and sure to please even the most discerning Beatrix Potter fan. Play It Safe (But Don’t Be Dull)! This one is for those of you who don’t know your recipient well, perhaps the gift is for your partner’s Great Aunt Sue or a secret Santa for a new colleague that’s just started at work. You could play it very safe and give them smellies or something similar. Or you could give them a gift that they can keep and cherish – a figurine is a lovely gift idea. Whatever you choose make sure you give a little thought as to how you will wrap the gift. You don’t need expensive wrapping paper to make your present special, but you should get a little creative. Use plain brown paper for a rustic look and tie up with twine. Add a cinnamon stick and a sprig of holly for a little bit of Christmas va-va-voom!